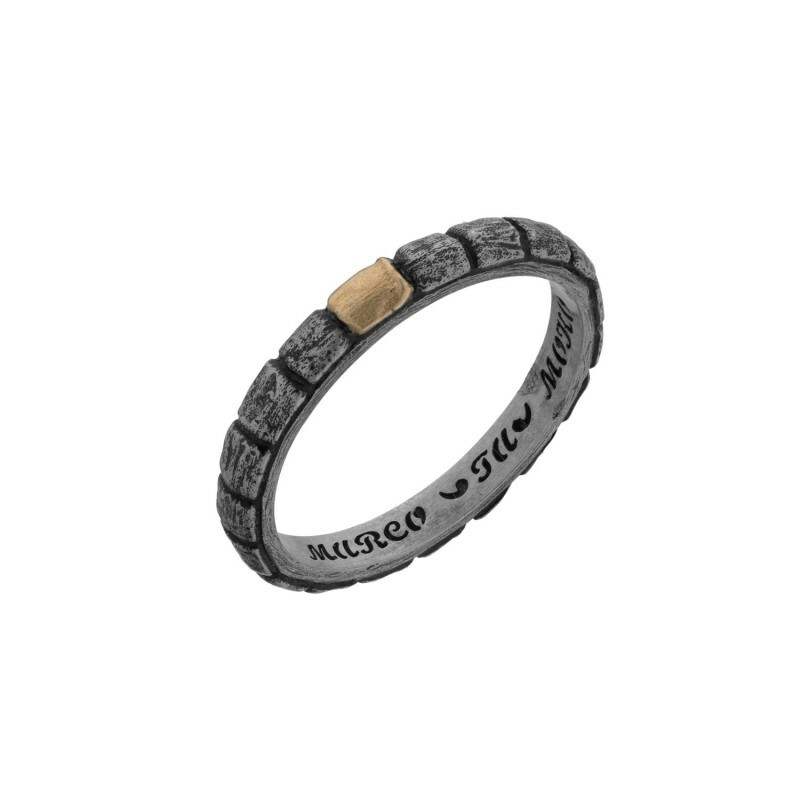 The Italia Ring Dark is a textured ring in oxidised silver and yellow gold. Part of the Italian Collection by Marco Dal Maso, an homage to the designer’s homeland and the uniquely rich architecture and history of Italy. Marco Dal Maso’s pieces are inspired by the tattoos, culture, mythology and history of the Maori. Each piece symbolises and emphasizes the traditional craftsmanship techniques of the country of origin, Italy, and are designed to be handed down from one generation to the next.